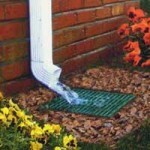 Without a good drainage system, you risk causing water damage to your property. 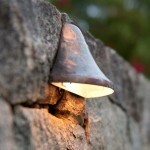 Did you know that as much as 85% of home repair expenses in the United States come from water damage? Poor drainage systems, misguided landscape irrigation, and uncontrollable runoff are typically to blame for such water damage. Foundations, sidewalks, and driveways are at risk of being damaged, which can result in expensive repair work on your property. 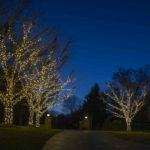 Fortunately, all of these problems caused by uncontrolled water can be easily fixed with a better drainage system. Insect and rodent infestations–spiders, reptiles etc. Not every drainage solution applies to every situation. Water can be diverted away from your property in a number of ways, an experienced drainage system professional can help you determine the best solution for you. French drain – This type of drainage system is commonly used in residential applications and involves a series of trenches that hold perforated pipes filled with gravel. Water seeps into the ground through the gravel and is diverted away from your home. Dry well – Instead of diverting water to a sewer, with a dry well water is diverted into an underground well where it can be dispersed back into the soil. 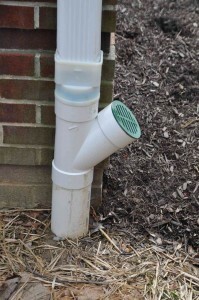 This is a very environmentally friendly drainage solution, as it conserves water by returning it directly to the ground. Corrugated tubes – Above-ground or buried tubes can be used in conjunction with downspouts to direct water away from your building instead of letting it pool into a low area. 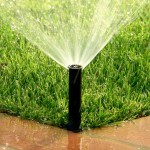 This can also be used to direct water to a landscaped area where frequent watering is necessary. 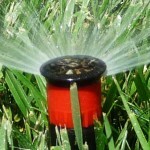 Correcting lawn grades – Land needs to slope directly into nearby drains in order to ensure proper drainage. If your lawn mowing is uneven and water accumulates in low areas, you may need to correct your lawn grade. This entry was posted on Friday, September 23rd, 2016	at 10:37 am	. You can follow any responses to this entry through the RSS 2.0	feed. Both comments and pings are currently closed.